Quizalize is an excellent platform through which you can create and distribute online quiz games. 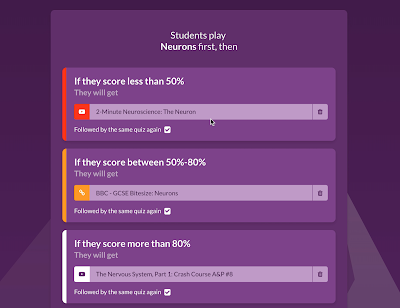 Your students can play the games as a group in your classroom much like Socrative or Kahoot. You can also have your students play the games at home. In fact, Quizalize offered the "play at home" option long before Kahoot did. 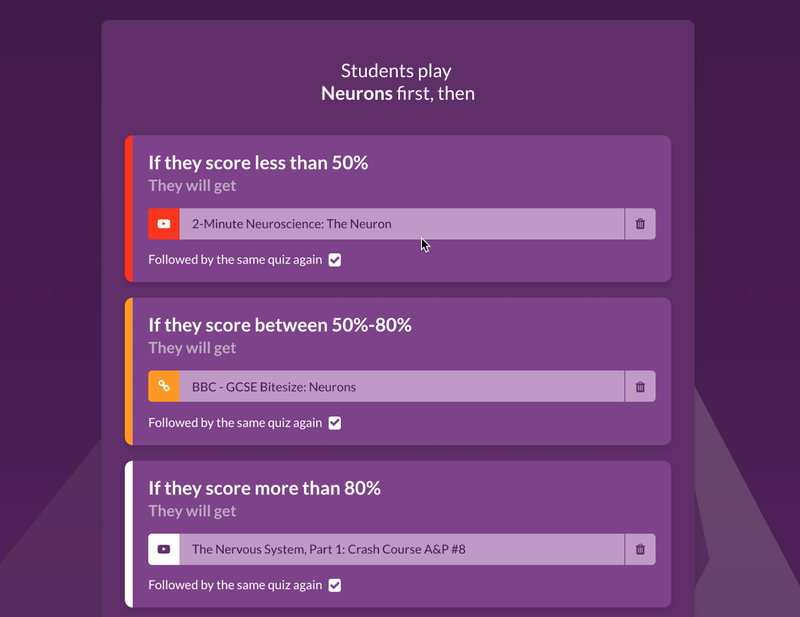 Earlier this year Quizalize added some features that gave you insight into how your students are doing on the games in realtime and after the game is over. Today, Quizalize introduced a new feature that builds upon those insights. Quizalize now lets you give assignments and practice activities to students based upon how they performed during a quiz game. For example, you can specify that any student who answers less than 75% of the questions correctly has to watch a video or read a review sheet. This new differentiation feature isn't limited to just one score trigger. You can specify that students scoring 50-60% receive one type of review activity and students scoring 60-75% receive a different review activity. I think this new differentiation feature pushes Quizalize to the top of the heap in the category of quiz game platforms. 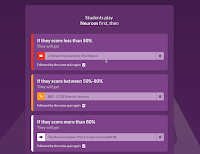 Your students still get the fun of the review game and you get the benefit of the insights and the option to immediately provide your students with the kind of review materials that they need.